Do I Really Need A Baby Monitor? Thoughts, Benefits And Drawbacks. Baby Monitor 101! If you’re planning for a new baby and trying to make the list of all necessities, you may not know whether you need to spend money on baby monitor or not. But it’s fine, you know when I was pregnant with my first daughter, I was completely clueless about what we need. Well, I knew a little like I’ll need diapers, cribs and one car seat, but that’s it. I didn’t know any gadgets or products that will come in handy. But, during that time, I did read some books and blogs on nursing and basic things and many of them said that a house where bedrooms are close together, you won’t need a baby monitor. However, each family is different, so habits also vary. But here I am gonna share my thoughts with benefits and drawbacks of a baby monitor. #1: Where Will The Baby Sleep? If you decide to have your baby sleep in the same room as you for a few months, then you don’t need a baby monitor for a little while. And, if their crib is just besides your bed, then you can rest assured that you’ll hear every sound, whisper or move they make. As a matter of fact, if the baby is in room directly besides your room, you can hear your baby out loud as well as on your baby monitor. But, if you’ve two storey home and planning to let your baby nap upstairs while you sleep downstairs then that’s another consideration. I personally didn’t use a baby monitor until my baby was sleeping in his own room. #2: How Deep Do You Sleep? Many times I’ve heard that once you’re a parent you’ll forever sleep with an open ear, but it isn’t truth! If you’re one of the deep sleepers, then a baby monitor can ensure that you’ll hear all the baby noises. I’m a light sleeper myself and I wake up for each and every gurgle and it’s been really exhausting for me. If your husband takes turn for getting up when baby makes noise, but he’s a deep sleeper, then a baby monitor is best ticket for you to ensure about baby’s safety. 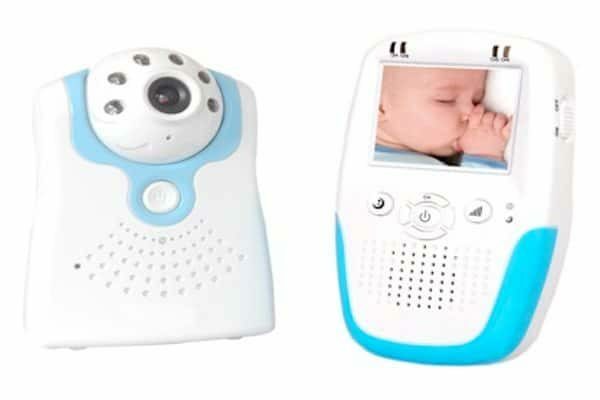 You can even buy baby monitor online available in different models and different types and you have the extra benefit of choosing the one which suits your needs. #3: What Else Will I Use It For? If you think you can survive without a baby monitor (which you absolutely can), but just think that it would ease some of your other tasks, then you’re completely right. A baby monitor is very useful for activities like independent playtime and even to check how much time your baby takes to fall asleep. #4: So, If I Want One, Which Would Be Right For Me? To be completely honest, I’ve used a cheapest, an average and an expensive one and all have been satisfactory for me. But, if you’ve a smaller house, then basic one will also do the trick. And, to tell you the truth, if you’re in small house, you won’t even need one. If and only if you live in a two storey home where your baby and you sleep on different floors, then the baby monitor becomes the top priority and the basic necessity. Olive Smith is a famous blogger and author and likes to write for the people who are new to parenting.